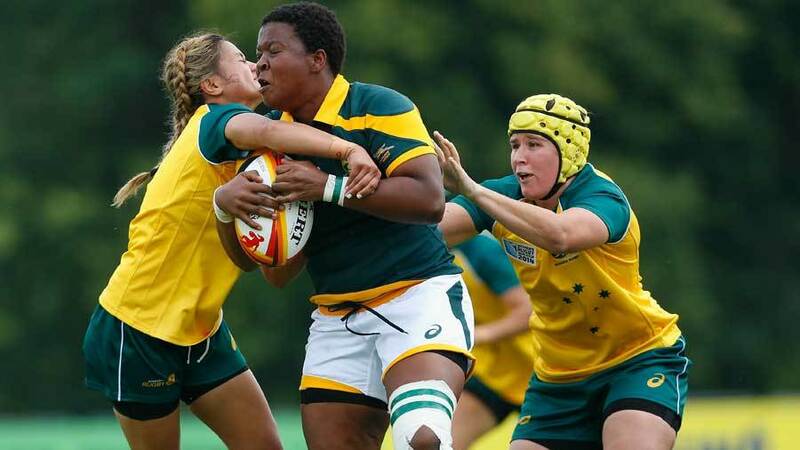 South Africa have been dealt a huge blow ahead of their second match in the 2014 Women's Rugby World Cup after Mandisa Williams was hit with a 16-week ban for foul play. Williams, who captained South Africa in their opening defeat to Australia, was found to have made contact with an opponent's "eye(s) or eye area" and was also guilty of "striking a player with the fist or arm" during their match last Friday. She was originally banned for 18 weeks but this was reduced by two owing to her clean record. The news means Williams will miss the rest of their World Cup as will Samoa's Soteria Pulumu. She was issued a straight red card for a dangerous tip-tackle on England's Natasha Hunt in the opening exchanges of their match last Friday. She has been banned for nine weeks but this was reduced to five on account of the player's remorse and clean record. Both players have the right to appeal.